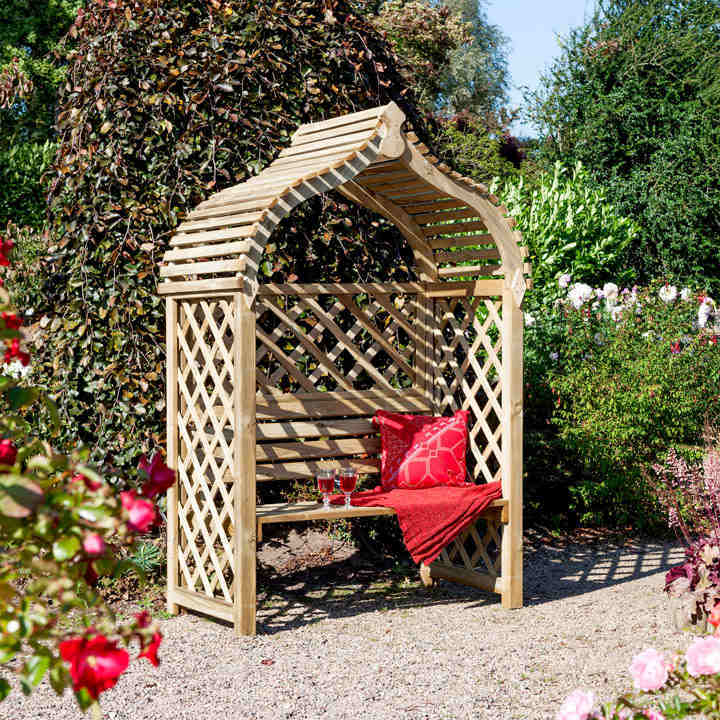 Eastern influenced design, open slatted roof, natural timber finish, pressure treated to protect against rot, can be painted or stained if desired, easy 2 person assembly, comprehensive instructions and all fittings included. Dimensions: external 2075mm height, 1330mm width, 800mm depth. seat 1150mm width, 420mm depth. 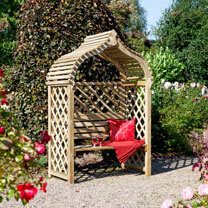 Leave your arbour natural or why not paint it one of our 5 lovely colours? Available to UK Mainland only.